A B.C. 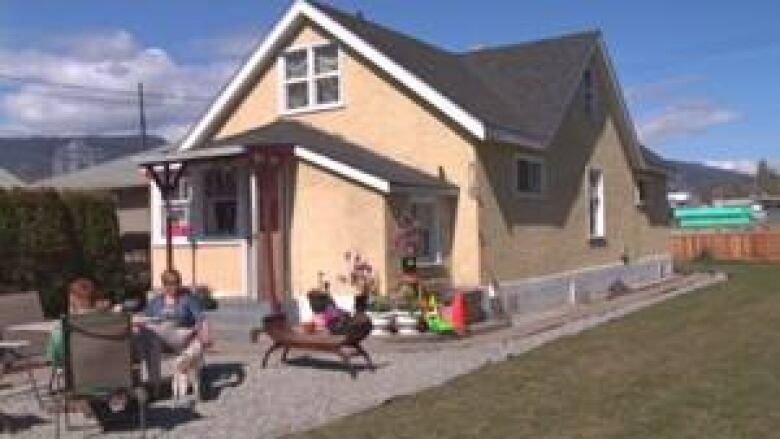 couple say they were tricked into buying an "unlivable" house when they moved from Yukon to the southern interior city of Kelowna last summer. 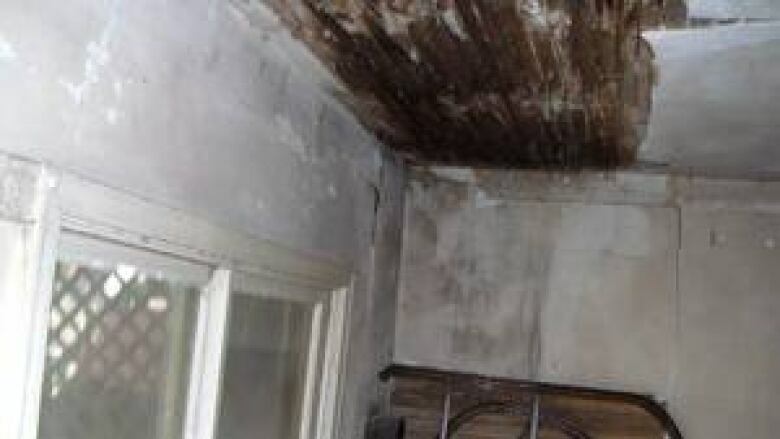 Colleen MacKinnon and Shawn Howe discovered mould, dangerous wiring, broken appliances, damaged floors and less square footage than advertised when they took possession of their home last July. None of the bedrooms had heaters and the ceilings were so low in three of the bedrooms that they could only stand up straight if they stood in the middle of those rooms. "I was so upset, I was almost crying," MacKinnon told CBC News. 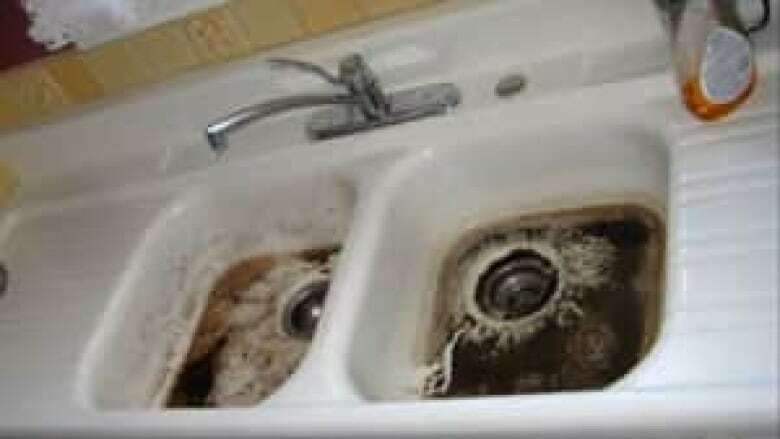 Less than two weeks after moving in, the couple discovered the original clay pipes were cracked and clogged with roots. "The toilets started to literally bubble and rise up, like it looked like boiling pots," MacKinnon said. "We were ankle deep, literally ankle deep in sewage, bailing it out of the toilet and off the floor, and out of the shower stall into the tub." The couple spent more than $40,000 in emergency repairs and are now suing seller Fiona Perrin, realtor Sharon Black and home inspector Brad Pears, who they say all lied in order to make a quick sale. "We spent a lot of money for a house that basically imploded 12 days after we bought it," Mackinnon said. It took MacKinnon and Howe just two days to make an offer on the house, after seeing the online listing in early July. The couple had to move quickly for work and said they were eager to buy a new home in order to avoid major mortgage penalties. The listing included photos, and they fell in love with the yellow house with a white picket fence and gleaming, hardwood floors. They contacted the realtor on the listing, Sharon Black, who they say agreed to represent them as well. The deal was finalized July 12. On the purchase agreement signed by MacKinnon, Black is only listed as the seller's representative. However, on Black's bill for her commission, ReMax Kelowna lists her as "acting on behalf of vendor and purchaser." MacKinnon says Black agreed to be her representative at least twice in an email correspondence. In June MacKinnon asked, "So it's ok that you represent both the vendor and potential purchaser?" Black responded, "Indeed it is okay in B.C. for a realtor to represent both a buyer and a seller…Send me a list of the type of home you are interested in, price point, size and area that you like I can put a list together for you." Two days later, MacKinnon wrote Black again to confirm their relationship, saying, "I have a question...are you acting as our realtor as well...?" Black responded, "Yes, I am working for you in a customer relationship...."
MacKinnon assumed that Black meant she was their realtor, too. Black went on to recommend three house inspectors. One of them was Brad Pears, who wrote a report but didn't flag many of the house's defects. "I feel completely deceived and I think we were flat out lied to," MacKinnon told CBC News. The CBC was unable to reach seller Fiona Perrin or house inspector Brad Pears. Realtor Sharon Black also refused to answer questions. MacKinnon and Howe have now filed two lawsuits in small claims court -- one against Perrin and Black, another against Pears -- each for $25,000, the maximum amount allowed. Bruce Hunter, a house inspector who is often called as an expert witness in these types of lawsuits, said any inspector recommended by a selling agent should not be trusted. Hunter reviewed the property photos posted online and Pears' inspection report and says Pears should have called the couple to warn them the house needed major work. Avoid inspectors who just use checklists - reports should be customized, with photos. Never sign a contract where inspector's liability is limited to cost of inspection. "Say you're getting too many referrals from realtors and you don't want to put too many bad things that will kill the deal. But I would phone them and say this is an unhealthy house," Hunter said. "The inspector is putting himself out there to get hung based on the pictures you have shown me." MacKinnon and Howe have filed a complaint about Black to The Real Estate Council of B.C. Larry Buttress, deputy executive officer of the council, stressed he can't comment on specific cases, but said that in general: "Certainly we'd be concerned about that. And if we received a complaint about that we'd investigate, yes." Hunter said in most cases, lawyers for the realtors give homeowners cash settlements conditional on confidentiality, because this is the kind of story he says the industry does not want to be made public. "There's a lot of these cases … you don't read about it in the papers," he said. "I have been involved in a lot of these and I can tell you what happens is, we present a good case and after two or three days, the law firm settles. "I call it hush money, a confidential agreement. They get paid to shut up." The case will be in court in June.